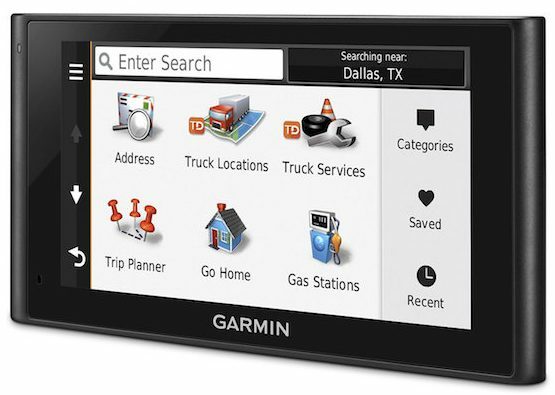 The Garmin DezlCam Truck Sat Nav is Garmin's all new 2016 Truck Sat Nav that comes with a range of new features and important upgrades to keep it updated. The key difference between the DezlCam and previous Dezl Truck Sat Nav models is the introduction of the Dash Camera meaning that you can now record your driving whilst you're moving. Its happened to us all, you're driving along and then wallop, you've had a crash. Often it's very easy to work out who is at fault, but sometime who is at fault is not clear. This is where the DezlCam comes into play as it has recorded everything as you've been driving along. It's now easy to work out who is at fault and therefore who should be paying for the damage. As a driver, your safety as well as the safety of the people you carry on your car should always be your main priority. For this reason, buying a dashcam is actually a smart choice in 2018. 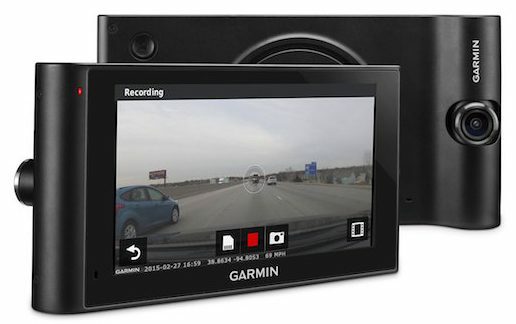 Garmin 6 inch DeziCam truck satellite navigation has an in built dash camera that will record everything as you drive. This feature is very important especially when it comes to determining who is at fault in case of an accident. The navigation system will act as your eye witness because it will provide clear details of what really happened better than what an actual eye witness will do. In addition to that this navigation system can also be removed from its magnetic navigation mount enabling you to take close pictures in case of collision that resulted to car damage. Its GPS system will enable you know the time, date speed as well as time when an incident occurred. Besides having an in-built camera for directions, the DeziCam truck navigator has Garmin's famous step-by-step navigation system that will guide you to your destination. As soon as your switch on your navigator, the first screen allows you to enter your trucks dimensions. This is so the route calculation program calculates routes that your truck will fit down and you don't get into trouble driving down routes that are not trucker friendly. Once you're ready to go, enter your destination into the full keyboard and the navigator will calculate your route taking into account restricted roads and any traffic along your route. The 6-Inch screen is crystal clear to enable you read the information provided. The on-screen directions are clear, but we also liked the fact that Garmin have installed extra loud speakers that will update you constantly while driving. Nothing much has changed over the last few years in terms of directions. They remain great given the units navigates you like a friend giving you directions using recognizable traffic lights, landmarks and buildings as opposed to using the old "turn right after 200meters". In addition to that, this devise will also give you the opportunity to truck specific point of interest, customize truck routing as well as issue you with route warnings. You will also get to enjoy getting free lifetime map updates for all countries in Europe plus a digital traffic update. Besides giving you directions, you will also get to your preferred destination fast because you will get to know which roads to avoid as well as those that will get you to your destination fast. If you have a smartphone, you can download smartphone link app from Google store and connect your smartphone with DeziCam. When DeziCam is actually paired with a smartphone, you can actually use your phone’s existing date plan to share information. In addition to that, this feature also give you the opportunity to access live services of Garmin. Such services include real time information on current state of weather and traffic condition. 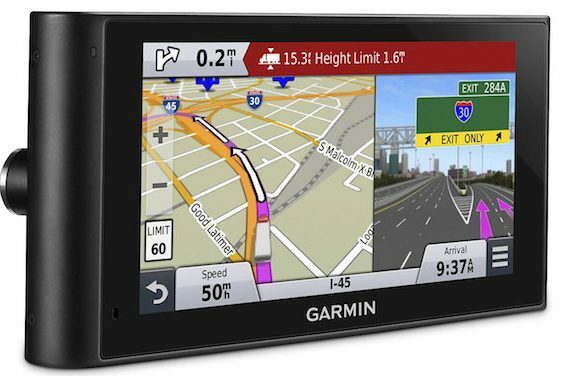 Above all Garmin 6 inch DeziCam truck satellite navigation system is very easy to operate. All its manuals are strategically placed and well labeled for easy use. You don’t have to go through training to know how to use this navigation system. You will grasp everything just by reading its manual. My best guess, the dezlcam is set up for truck speeds, so 55mph whereas google maps is set up for the average car speed, so 75 mph. I would also think that your Garmin will take into account any traffic along your route, whereas google maps does not factor this in.